Heck Yes, you got caught. 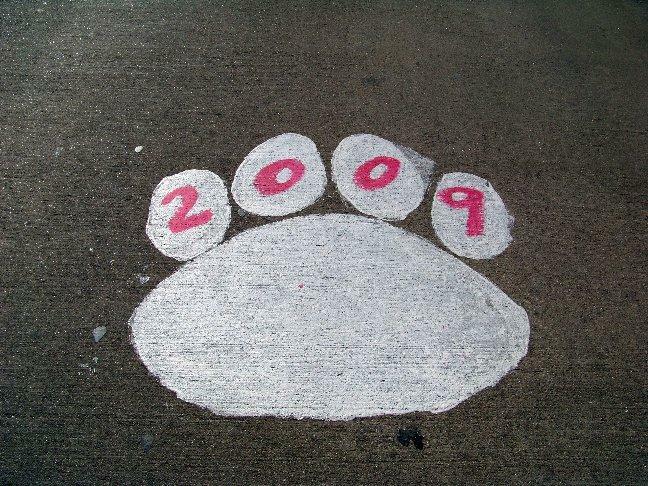 LHS Students Vandalize Livingston High School, LIVINGSTON, January 18, 2009 - Multiple students vandalized the Livingston High School premises with spray paint and were allegedly caught by Livingston Police and a DPS Trooper. 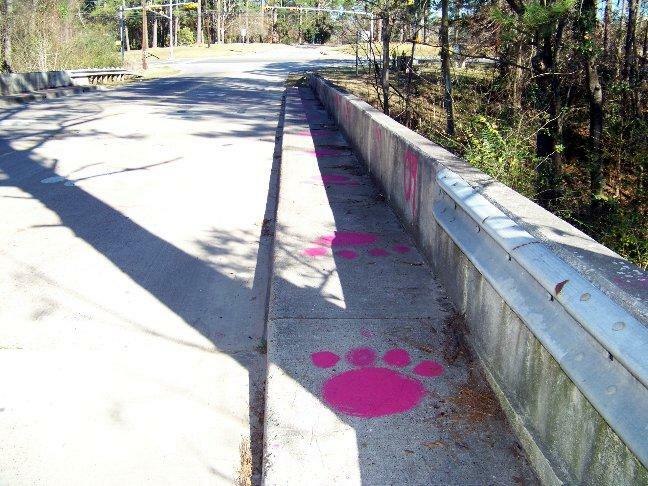 In the middle of the night on January 18, 2009 the students spray painted the bridge that connects the 190 with the high school parking lot, speed bumps, trash cans, plants, and allegedly broke into the high school where more vandalism occurred. The students were caught, and the vandals allegedly included senior cheer leaders. The incident is under investigation by the Livingston Police Department and it is up to the High School if they choose to press charges. 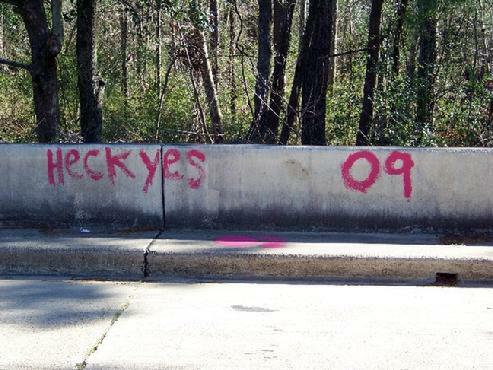 The vandalism reflected apparent senior pride and did not reflect racism or any other thing. 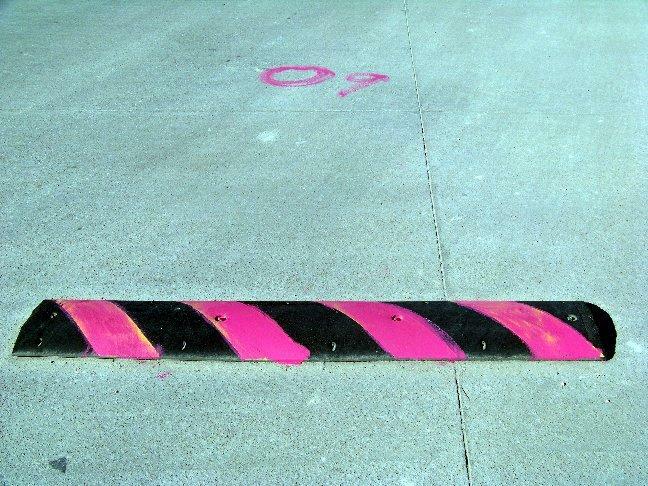 The speed bumps are normally yellow and black. 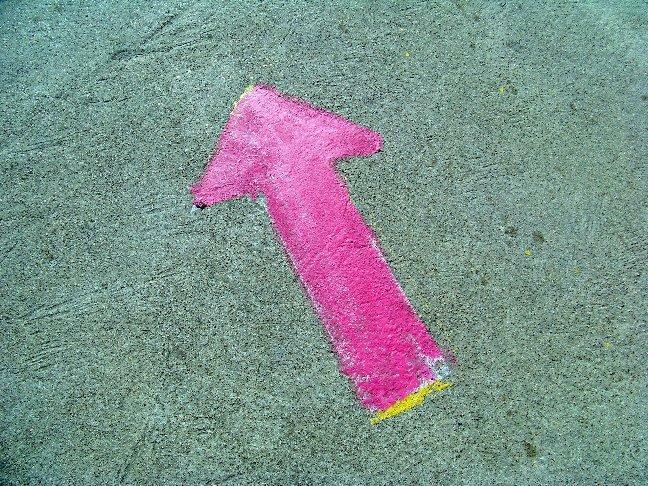 Painted pink over yellow parking arrows.